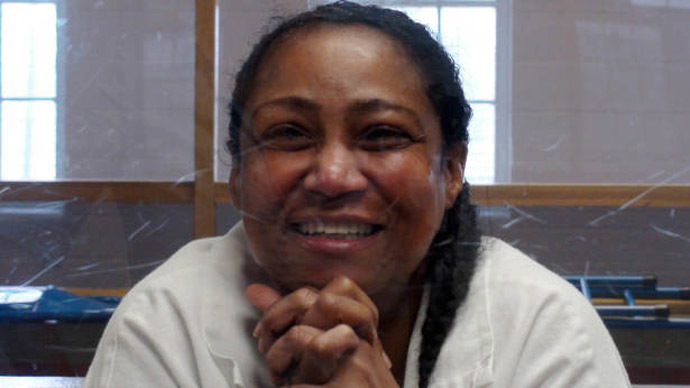 A UK citizen awaiting execution in the US has been granted an appeal after her lawyers claimed new evidence proves state prosecutors coerced witnesses to give fabricated evidence against her. Linda Carty, 56, has been granted a hearing by the Texas Court of Criminal Appeals following allegations that witnesses were bullied into giving false testimonies. One key witness signed an affidavit, filed in September 2014, in which he claims two Texas district attorneys (DAs) “threatened and intimidated” him into identifying Carty as the culprit. Another witness claims a Texas DA attempted to blackmail him into testifying against Carty by threatening to expose a made-up affair between them that would jeopardize his career. She was found guilty and sentenced to death for abducting and murdering her neighbor, 25-year-old Joana Rodriguez, in February 2002. The prosecution argued Carty had ordered three criminals to storm her neighbor’s apartment, steal $1,000 and abduct Rodriguez and her child at gunpoint. Prosecutors said Carty, who had suffered miscarriages, wanted her neighbor’s baby as a means to reconcile with her common-law husband. Her case came under international scrutiny when it emerged the prosecution spent just two weeks preparing for her trial. Despite this, all previous appeals have failed. New evidence in Carty’s case has been uncovered by her British lawyers at Reprieve, a UK-based human rights watchdog. Christopher Robinson, the only witness in the trial to allegedly have seen the killing take place, signed a sworn testimony last year claiming he did not in fact see Carty kill anyone. According to Robinson, Texas DAs Connie Spence and Craig Goodhart “threatened and intimidated” him into testifying against Carty. “[They] told me I had to testify at Linda’s trial, and they made it clear what it was I had to say,” he wrote in his affidavit. Another witness, Charles Mathis, claims Spence attempted to blackmail him by threatening to question him in court about an affair he supposedly had with Carty. Matthis, a special agent in the Drug Enforcement Administration (DEA), oversaw Carty while she acted as an informer for the agency. Carty became a drug informant after being convicted of auto theft and the impersonation of an FBI agent in 1992. Matthis denied the affair, but said if Spence questioned him in court the allegations could have damaged his reputation and career in law enforcement. Celia Ouellette, a lawyer for Reprieve, welcomed the news of Carty’s appeal. “We look forward to giving Linda a day in court that is not rigged against her from the start,” she added. According to the Houston Chronicle, Goldberg estimates his firm has invested more than $1 million in pro bono labor on Carty’s defense. About two dozen death row inmates requested authorization for a second or third round of appeals in 2014, the Houston Chronicle reports. Carty is one of only two defendants who were successful in their requests. The Houston Chronicle also reports the district attorney overseeing Carty’s prosecution, Charles Rosenthal, left office in 2008 in a scandal over racist, sexual and political emails he sent while at work. Carty’s conviction has attracted international attention from renowned filmmaker Werner Herzog, Britain’s Channel 4 and the British Foreign and Commonwealth Office (FCO). The FCO claims the United States violated international law when it failed to notify its consulate in Houston about Carty’s detention, thereby depriving her of the support to which she was entitled.